Weird WWII: "Enter the All-Winners"
I was looking through a bunch of pics on my computer and I found my first Weird WWII battle that I hosted. So look on and see the gaming of years past. Ladies and gentlemen, I give you the All-Winners! 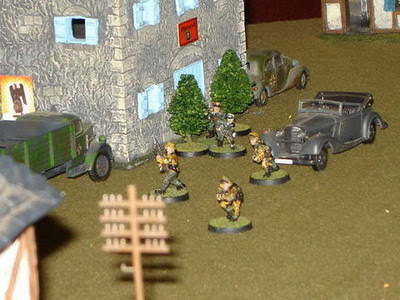 The Story: The Allies are advancing fast to the Rhine and a small garrison of Germans are attempting to withdraw before the Allied vanguard arrives but unfortunate for them it has already arrived! 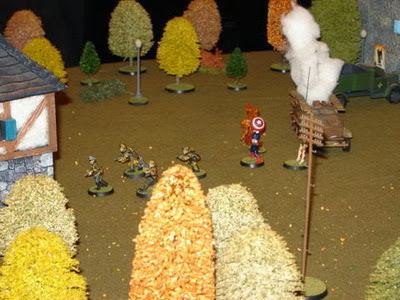 The human torch arrives and lays down suppressing fire on the gatehouse guards. Literally! 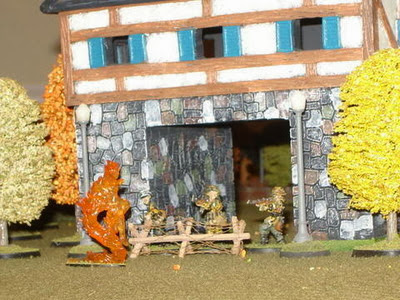 The alarm is raised and the troops respond to their attackers in earnest! 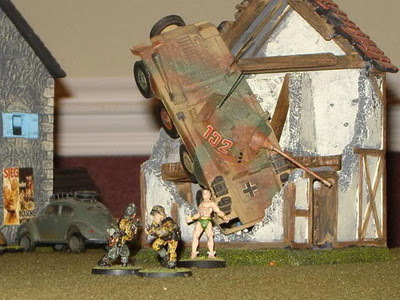 A Puma armored car takes aim at the All-Winners but before it can fire it's guns it is lifted off the ground and smashed into a neighboring building by the Prince of Atlantis himself! 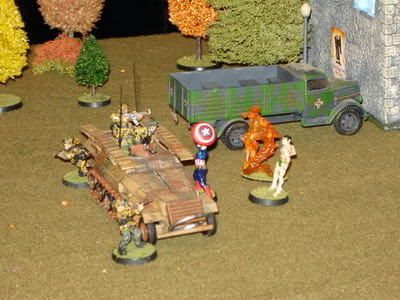 Reinforcements arrive but the All-Winners push their super-power attack! 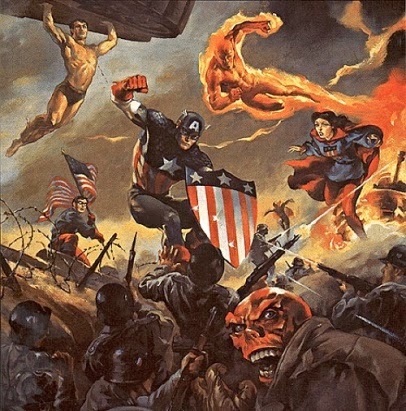 The Germans are no match for the might of the fighters of freedom and they flee! 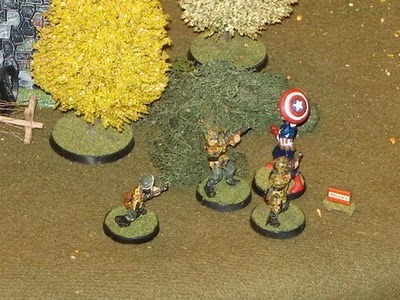 Cap runs down the last of the fleeing troops and easily captures them for much needed Intel. So there ya go, short but sweet. That game brings back a lot of memories of friends that have come and gone. Ah, the good ol' days.